If dogs were only able to talk, boy oh boy, the stories they would tell. Take Dolly, for instance. 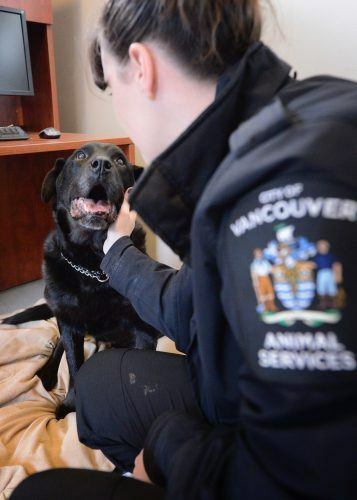 Found wandering in Southeast Vancouver in November, she was turned in to the Vancouver Animal Shelter by a Good Samaritan. She had no ID whatsoever: no tattoo, no microchip. 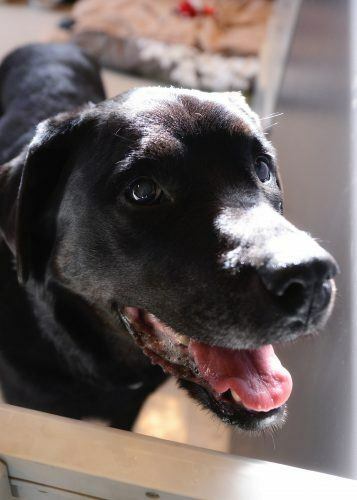 A vet exam revealed that she was a senior, around 11 years old, and staff figured she must have been a family pet at some point in her long life. But the 72-hour holding period came and went and no one came looking for this sweet girl. 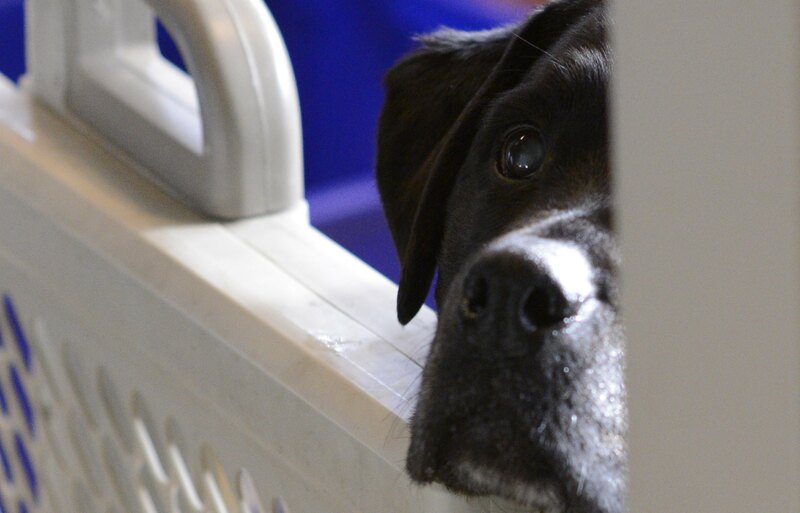 She was named Dolly by staff – she’s a “doll” – and has been in the shelter ever since. She has stolen the hearts of everyone who has met her, including kennel staff, volunteers and visitors to the facility. Honestly, Dolly isn’t perfect. Her age is showing. She has some calcification of her spine, which gives her a hard time getting up and down, and makes her a little unstable on her feet. She’s got the regular aches and pains of someone in their golden years, which makes it all the more urgent to find her a retirement home. She doesn’t like being left alone, and she’s even broken through baby gates to get to her people. Actually, she thinks that she IS people, and doesn’t believe she should have the same kibble every day like every other dog. She can and will eat people food if it’s left within her reach. She’s not a big fan of being rushed by other dogs, which staff chalk up to the fact she’s a bit unstable – and may be protecting herself. Even though she’s slowed down, she still will try to chase cats and small animals. Now, to the upsides – and there are many. Dolly is a love bug. She’ll try to crawl into your lap for cuddles and loves, loves, loves hanging out with her people. She’ll snooze by your feet while you work or watch TV. Her walks don’t need to be long, and she’s very content to lie in the grass in the sun. A perfect home would be one where Dolly can be the shining star and there are no other pets. Ideally there are no stairs and the home is on one level. She’d be great for someone who works from home. 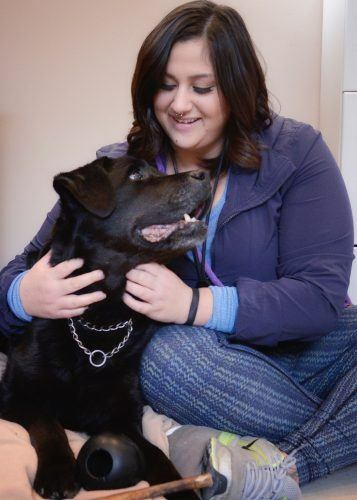 “It may seem like a tall order but in return you will get tons of love and devotion as well as the sweet doggy kisses that Dolly doles out,” says Rachel Blyth of the city’s animal services. The shelter is looking for someone to permanently foster Dolly. It’s actually a really sweet deal: They’ll pay for all her medical needs, pain medications, provide beds and blankets, food bowls, kibbles, canned food and even toys. 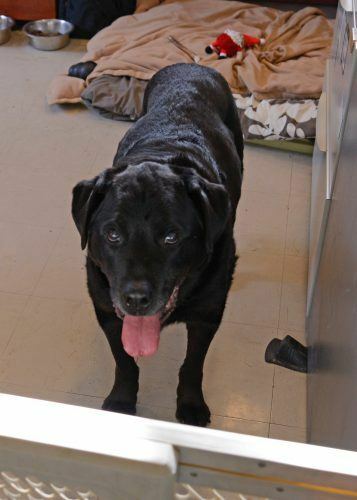 They also will provide all the support you may need as a foster family for a senior dog. 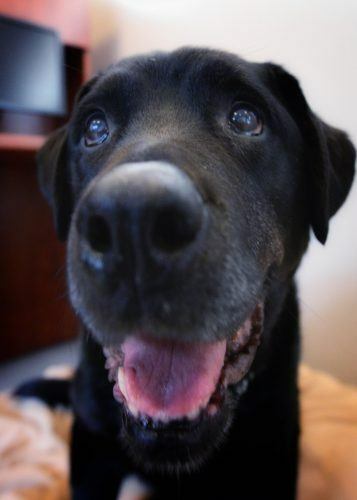 Let’s get this sweetie a happy retirement home! 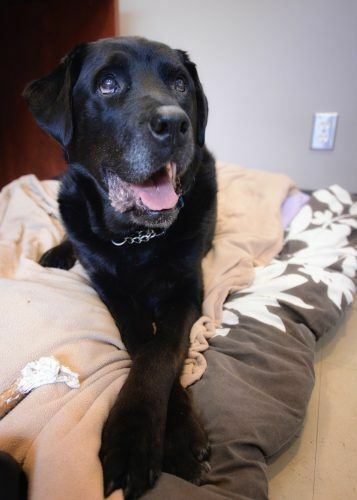 If you are interested in helping Dolly please call Rachel at 604-871-6885 or email her at [email protected]. Only people who have been pre-screened will get to meet her, to minimize stress.